Cat In The Window Challenge accepted. This is one of my oldest cats, Inky. He was found as a baby kitten, hiding on my back porch, under our grill. I took him in and have loved him ever since. He is my ”black boy” full of love. He was enjoying a rest on my couch this morning. He usually stays on my screened in back porch. I adore him. I think everyone should own a cat like Inky. He is beautiful and so sweet, almost black cats are. My dog thinks he is ”purrfect”too. Category: Challenges | 1 Comment on Cat In The Window Challenge accepted. Liebster Award was given to me from my writer pal, https://pensitivity101.wordpress.com/ . Thank you so much! It has been a while since I was nominated for this award. I was given these questions! OK, now for my five questions (anyone else is welcome to answer them too. Pls link back to this post so that I can read them!). If you could be a World Leader (living or dead), who would it be and why? c) a luxury penthouse apartment in the city. If you could turn back the clock and change something in your life, how far back would you go and what would it be? You hate your life and due to a technical glitch, you suddenly find yourself rich and famous with a new identity. What would be the first thing you’d do? You’ve been asked to form a new pop group. From today’s artists, who would you choose for your lead singer and who else for backing vocals? https://wordpress.com/read/feeds/14846827I would be Abraham Lincoln if given a choice of a world leader. I believe he impacted the world for generations and generations and his work as President was irrefutable and helped all of us in one way, shape or form. He died too early, I wish I could of seen the amazing things he could had accomplished, if he had lived. I would love to live on my own island, free from others scrutiny. I would live in harmony with all that nature had to give oor show me while there. I would invite my closest friends and family to join me. Age 21. I would do things a little different. I actually had part of my life that had been missing come into my life. I would however, want myself to take necessary time to heal wounds and determine a plan of action before introducing stressful people and situations into my life. I found my birth family, so to speak. Life was a chaotic time for me, trying to hide this revelation from my adopted family and trying to deal with it all. I was not prepared as i wish I had been. The first thing, would be to open a shelter for homeless animals, and people. I think a place set up to have both would be great. People would love the pets and feel like kindred souls with the animals that were homeless. They could comfort each other and they could help run the shelter and have a place to live and thrive, both groups. If only! I am going to stay with the questions Pensitivity101 left for me. But yet, I am here having to pay. Living with you and your TOXIC ways. I will resign to follow far behind. Just to give myself some sense of mind. Come up with as many quips, idioms, and weird sayings as you can think of. Comb your (or someone’s) memory or the Internet for old or new; or, make up your own! Weave them into any kind of story – fiction, non-fiction, humorous, serious, thoughtful, or fluff – to post on your blog. Thanks Stu for nominating me for this rather fun idea and tag. A penny for your thought, or make a long story short? Seems like a piece of cake, right? Well, maybe not. Henry’s teacher was asking the class to write about their feelings on the Holidays, or at least something pertaining to the holidays. Henry was struggling on what or how to go about writing. He was basically, sitting on the fence and did not want to decided. For Henry, Holidays were not that great. He had thought of putting the wool over someone’s eyes and making a story of the best Holiday ever but he was not sure if he could get away with it. Because he had never really enjoyed the Holidays, since his mom passed away on Thanksgiving day, he was certain that he could not even “milk it” for one second. His hurt had been so deep that his “heart-felt like it would burst” Perhaps the teacher would give him the benefit of a doubt, but he was afraid to risk it. As Henry walked home he tried desperately to think of a way to get out of doing that Holiday paper. It was possible that whoever read what he wrote would also be able to READ him to fifth degree. He was not going to be able to fool anyone it appeared so he might as well “hop to it”. He was simply going to shoot for the stars. After all what else could he loose. He had done lost his mother, the one person who meant the world to him. Perhaps, it wasn’t bad to write a paper that might honor that, honor her memory in his own He was going to write and write his paper as sickening, as he could! When Henry arrived home, he sat down at his desk and started to remember all the things about his mother that he loved. He let himself remember all the holidays when she and him were together. It is like the words just started to flow onto the paper. When he paused, he noticed he had written the most he had ever wrote, he had three whole pages. He asked his brother to look over his paper and proofread it. He then packed it into his notebook, proud of his accomplishment. The next day at school when others were being asked to go to the front of the class and read off their papers, he volunteered which was a total shock to his teacher. She nodded at him with a rather wide smile as he approached the front. His paper’s title was. “Holidays My Mom Gave Me”. He read all three pages and when he was finished you could hear pin drop. Henry was about to take his seat when the children started clapping and some of the children were wiping tears away from their eyes. It was great. Henry had never been so proud of himself in all his life. He knew his mother was too. After all Holidays are more than trimmings and things under the tree, they are about those we love and care about and what that means. Abundant love from my husband, and my God and my family. Babies that the Lord gave me, all of my children are my greatest loves. Crayons have always been great, without them in my life I would never of had such wonderful coloring memories. Absolutely love dressing, stuffing, it is simply one of my favorite dishes. Everyone that I have known, passed by, seen or interacted with, they are something in some way or shape to be thankful for. Not for me but to those I give to. I love seeing their faces when I give a gift. I love that I have hair, although it is very fine and thin, I am thankful for it. It is a much taken for granted tool. I appreciate having it, it is a way to express my self. How could I not be thankful for him. Without him and his grace I would not be here. I love this sweet treat, it is fun to chip away at the edges of chocolate and eat the wafered center. Thankful for my name, MICHELLE. Music notes, self-written notes, love notes, etc. Without notes it would definitely be a boring life for me. Being able to move onward with things in my own life. That ability and that direction is so crucial for me. Where would I be without the love of my pets? It is some place I hope to never be. I am thankful for all the things I have. No fun getting rained on. Thankful for umbrellas. I am thankful for having variety. I am thankful for clothes and my wardrobe. I could not imagine going around naked. Just saying. What a life it would be or not without our yesterdays, the good the bad and the not so great….and all the good ones!!!! What a cool looking horse! Haha I know it is not a horse. Watching the NEWS, you will soon start to see more than not a STREAM of bad news. This can cause a person to REGRET watching it. Our world is filled with so many things that can take a person’s CHEER. There are things we hear about and see that are happening . Those things can STING and hurt to our very core. I choose to write and express some of my feelings in blogging. It is a good thing when we can let that stuff DRIFT out of our heads, and away from our hearts. With EASE we can try to go through life, if we keep our hearts FREE of the hurt. If we live life with no regrets. That does not mean that there won’t be periods of hurt and disappointments, and like watching the news there won’t be turmoil or dying or suffering. The fact is that we do not have to BINGE on all that negativity. We all hang on to our life by a FRINGE of hope. Without hope we have nothing that matters much. There would be no need to ever change things or be optimistic. TO SAIL through life we need good wind(hope), a good current(optimism), and good weather(experiences). Without those things, we are “dead in the water”. Thank you Rory,https://aguycalledbloke.blog/2018/11/11/321-quote-me-good-health/ Healthy quotes are really a good thing to read, and I am happy to post some for others to read. 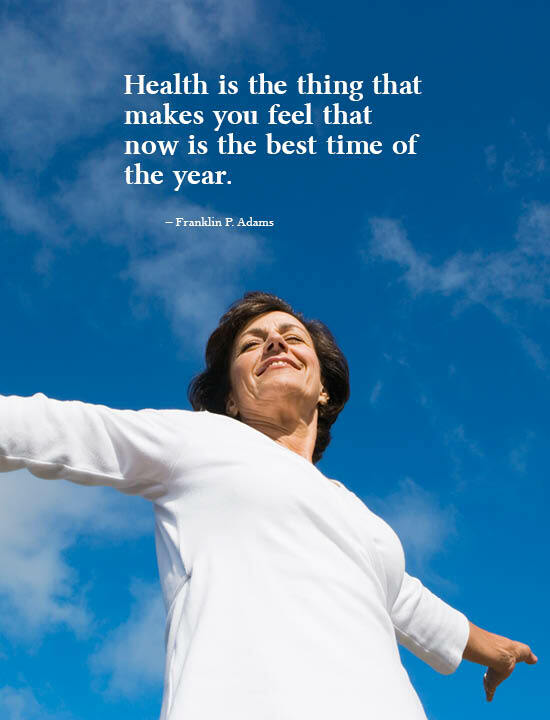 Being Healthy is one of the things we should always strive to be. Richard , who is a dear writer friend of mine. Check his webpage out and his photography. All things created, live and die.